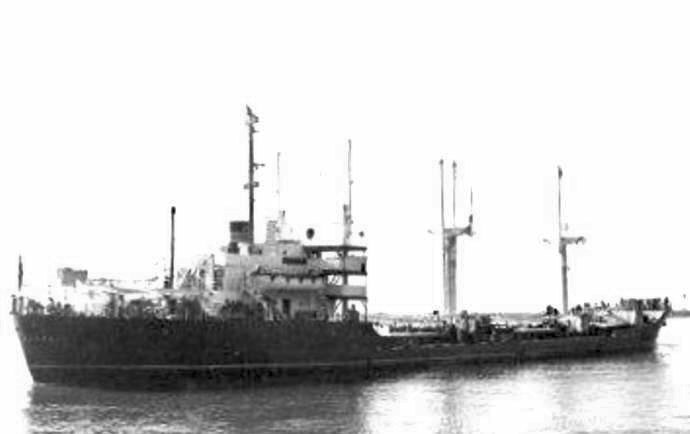 Alamosa Class Cargo Ship Laid down, date unknown, as a Maritime Commission type (C1-M-AV1) hull, under a Maritime Commission contract (MC hull 2112) at Kaiser Cargo Inc., Richmond, CA. Decommissioned, 25 March 1946, at Baltimore, MD. Returned to the Maritime Commission, 29 March 1946, for lay up in the National Defense Reserve Fleet, James River Group, Lee Hall, VA. Renamed MV President Quezon in 1964.